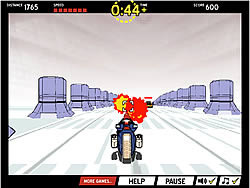 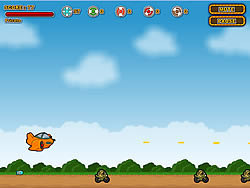 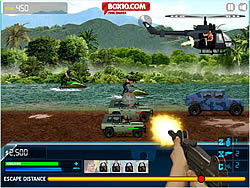 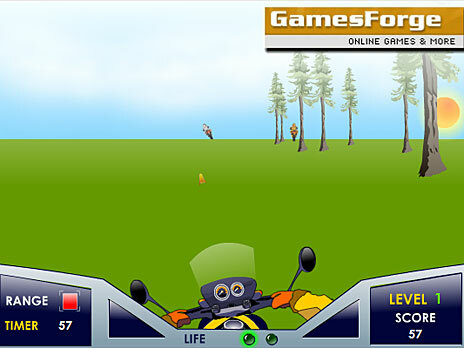 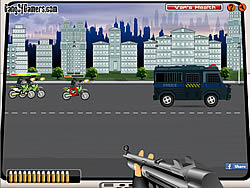 Shooting Games - BikeGames.com - Play fun free bike games. 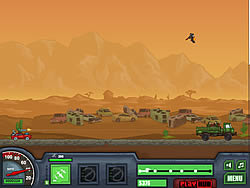 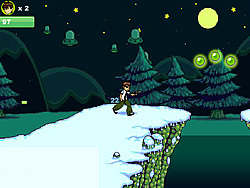 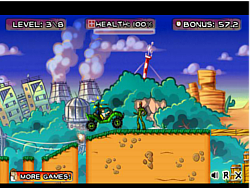 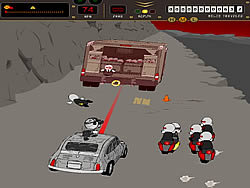 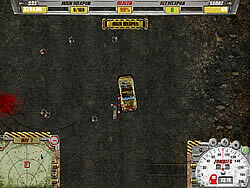 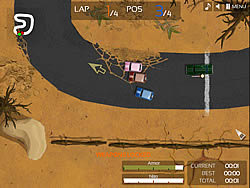 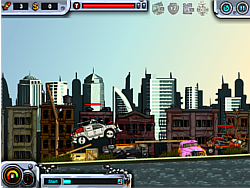 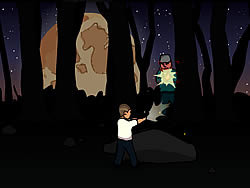 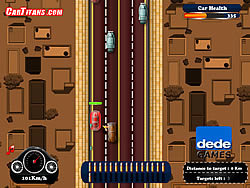 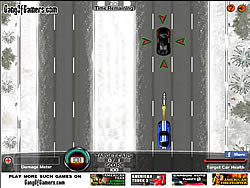 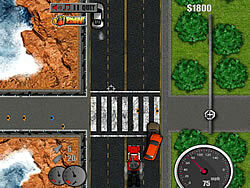 Drive your car up and down the hills as you run over and blast zombies and skeletons. 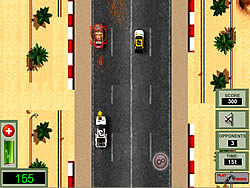 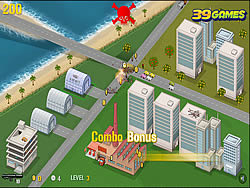 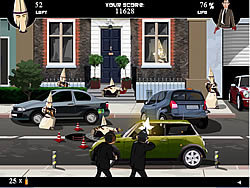 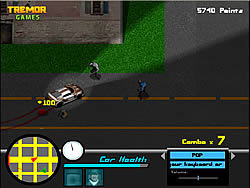 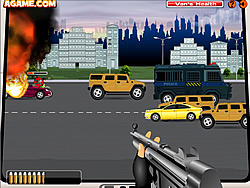 Do multiple types of missions as you chase down suspects, avoid traffic & gun down baddies. 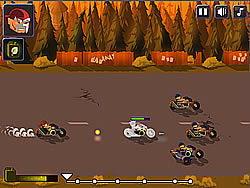 Drive around the track & hit the speed pads & gather weapon pick ups to attack the opponent racers. 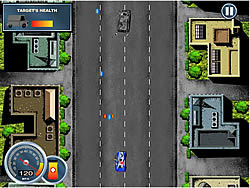 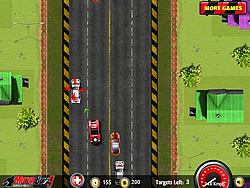 Put the pedal to the metal and take down your rival racers in the all-American death race competition! 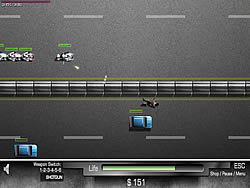 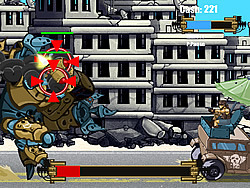 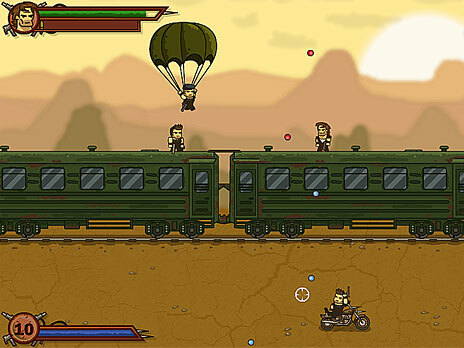 Fight off zombies with a bat in this top-down, beat-em-up fighter. 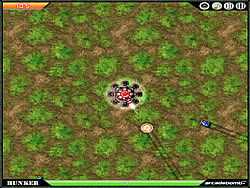 Follow your radar for objectives.